the depth in the pic. Later went closer behind the chair and shot the other one which shows the dogs clearly. 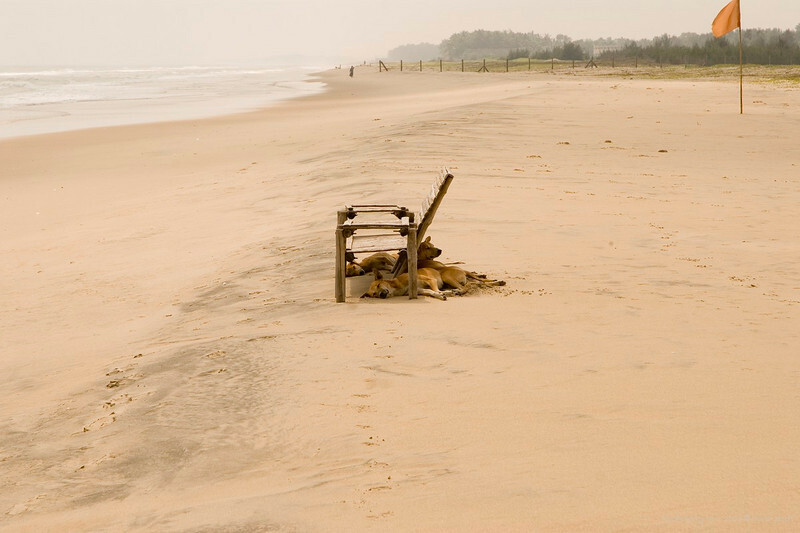 Like this shot, too, but probably prefer the other ones where you can see each dog more clearly.. Love your shots of India. It is like traveling without leaving home. Really wonderful views of a beautiful and fascinating country. I loved the way the beach stretching to the horizon and the local dogs enjoying the shade. Great shot! It really looks like paradise for the dogs! Smart dogs . . . I liked this shot before I noticed the dogs under the chairs. Very nice soft feeling of abandonment.